I had never been to a World Series game in my life. 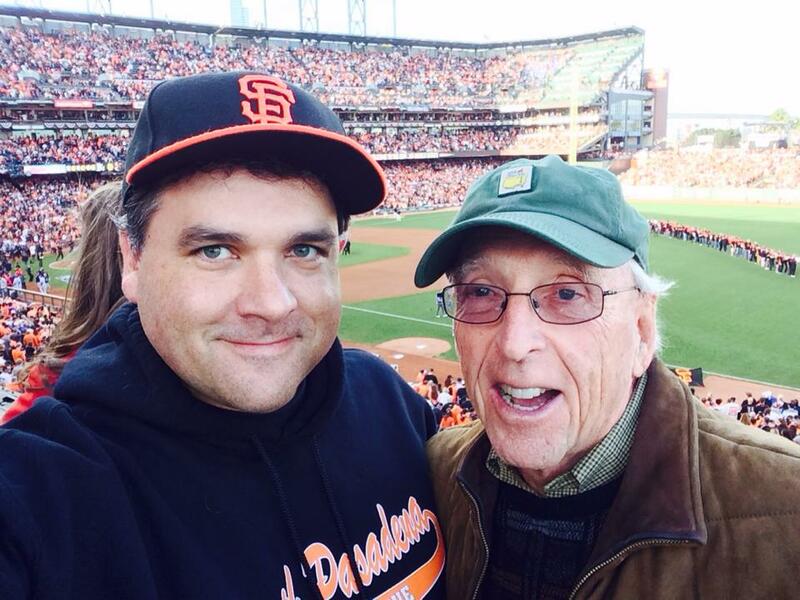 Neither had my dad, a lifelong Giants fan. It is fathers and son episode of The Sully Baseball Daily Podcast. Alcides Escobar, Greg Holland, Michael Morse and Tim Hudson all owned October and the World Series last night. This entry was posted in Sully Baseball Daily Podcast and tagged 2014 San Francisco Giants, 2014 World series, AT&T Park, ballpark roadtrips, Hunter Pence, Kansas City Royals, Kevin Sullivan, Paul francis sullivan, Paul Sullivan's dad, San Francisco Giants, Sully Baseball, Sully Baseball Daily Podcast, SullyMetrics. Bookmark the permalink.